The patterns of unity and division that define Europe as a historical region have been discussed in some important works, but this complex set of questions merits a more sustained debate. The disappearance of the Cold War regimes reinforced visions of European unity, but it also brought older historical divisions back into focus. The enlargement of the European Union has posed new problems of integration across cultural and political borders rooted in historical experiences. At the same time, the core countries of the union have confronted issues that reveal the enduring importance of identities and divergences that antedate the project of integration. The progress of historical sociology has led to more active interest in the identities, structures and boundaries of historical formations, geocultural as well as geopolitical. The main emphasis of this book is on the multiple but interrelated divisions that have shaped the course of European history and crystallized in different patterns during successive phases. The question of European unity is discussed extensively in the first section, and later chapters include references to the perceptions and interpretations of unity that have developed in different parts of a divided Europe. Finally, the book lays particular stress on one region, Central or East Central Europe, and the debates that have developed around it. 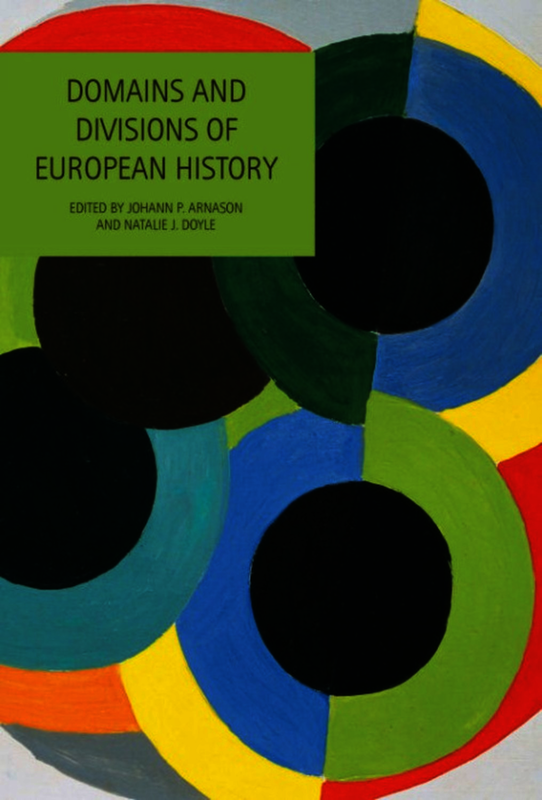 This part of Europe has not only been the topic of the most intensive discussion of regional identity, but also the source of some particularly seminal reflections on the general theme of the book: the unity and the divisions of European history. ...this volume makes for worthwhile reading, not only because the quality of analysis of the individual contributions is very high. Its focus on Eastern Central Europe makes for a rewarding case study of the question of unity and division in Europe which the book seeks to answer. Moreover, many of the remaining essays fill a gap in the current literature as they deal with countries (such as Romania) and themes (the relationship between Christianity and Eastern Orthodoxy, the role of science in Europe), which are arguably underrepresented in current debates. Domains and Divisions portrays a continent and its historians as hard at work trying to make sense of its boundaries, its identities, and its trajectories into the future, a continent which is indeed diverse while grappling with its newly-found political unity. Johann P. Arnason is Emeritus Professor of Sociology at La Trobe University, Melbourne, Visiting Professor at the Faculty of Human Studies, Charles University, Prague, and Honorary Research Fellow with the Monash European and EU Centre, Melbourne. His previous books include Social Theory and Japanese Experience: The Dual Civilization (London, 1997) and Civilizations in Dispute: Historical Questions and Theoretical Traditions (Leiden, 2003). Natalie J. Doyle is a senior lecturer in French and European studies at Monash University, Melbourne and Deputy Director of the Monash European and EU Centre.